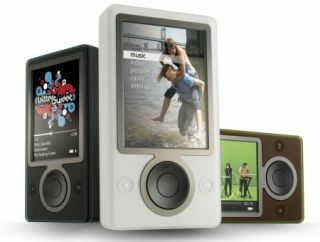 The Microsoft Zune MP3 player will not be launched in the UK or Europe until next year at the earliest. That's according to statements made by Microsoft CEO Steve Ballmer in German magazine Wirtschafts Woche (Economics Week) over the weekend. The Zune has been available in the US for months. And it was expected to go on sale in the UK and across Europe by the summer's end. But Ballmer now says this plan has been scrapped, citing financial reasons for the delayed MP3 player launch. He said that despite Microsoft's Zune arm selling around one million players since launch, it was still making a loss. So it is not a good time for Microsoft to expand the project into new markets. It's a curious move though, as Microsoft could surely never have expected to make a profit with a new product like this after such a limited launch. And while a worldwide expansion would herald an even bigger initial loss, it would likely help the project begin to make money in the long run. Zune 2 to lead the charge? It was not made clear whether the cancelled Euro launch will also apply to the Asia and Oceania territories. But it seems probable that the Zune will remain a US-exclusive product for a good while yet, possibly until the Zune mark II is ready for launch. The Microsoft Zune 2 is being built internally by Microsoft, rather than being outsourced to Toshiba's Gigabeat factories.